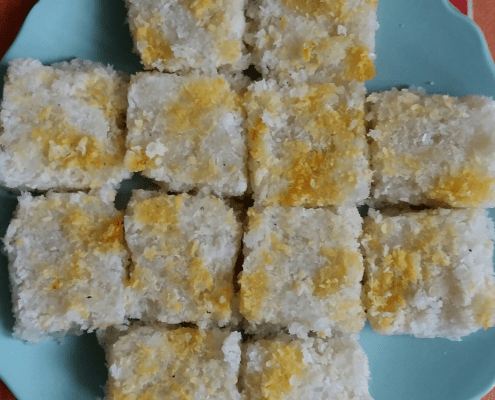 Coconut barfi is a traditional Indian sweet which is popular in all parts of India. It is made on many auspicious occasions and is very easy to make at home. 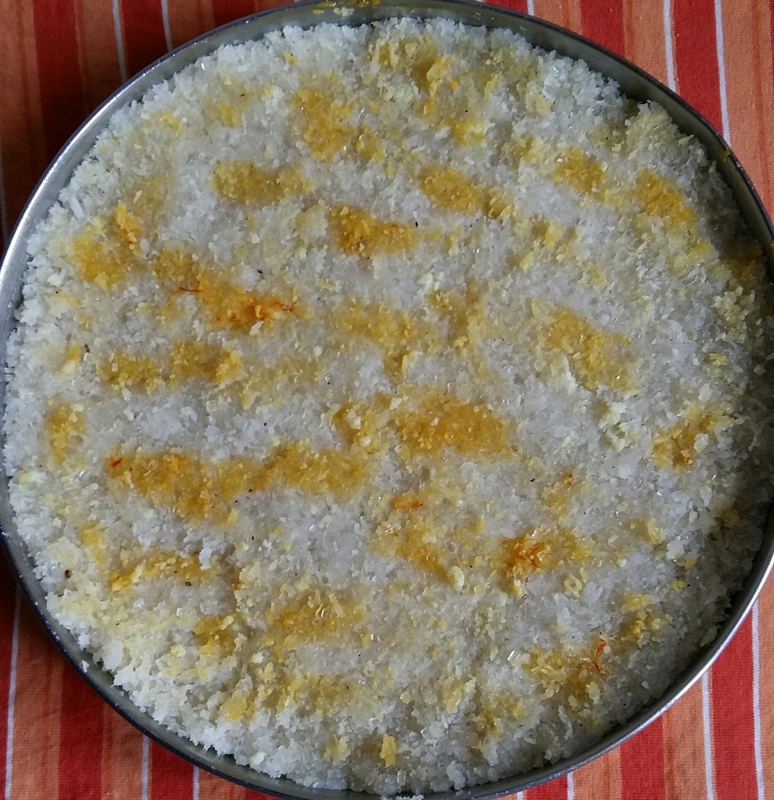 In this recipe, I have used khoya along with desiccated (grated, dehydrated) coconut. Khoya helps in binding the mixture, gives a soft texture and a rich taste to the barfi. When freshly made delicious coconut barfi is consumed, it simply melts in mouth. Grease one plate with ghee to set the barfi. Soak saffron for five minutes in half tea spoon milk and then gently crush it. Take desiccated coconut and khoya in a plate and mix properly. Heat the mixture and keep stirring. When sugar dissolves and this mixture starts to boil, let it continue for half a minute and switch off the flame. Add desiccated coconut, khoya and cardamom powder to sugar syrup, mix properly and set the mixture in a greased plate. With your fingertips, gently rub saffron on the barfi. Leave it to set for 2 to 3 hours. Cut into desired shape and store in an air tight container.